When I came home from Minneapolis on Wednesday I had to dodge orange cones or witches hats as they call them in Australia. 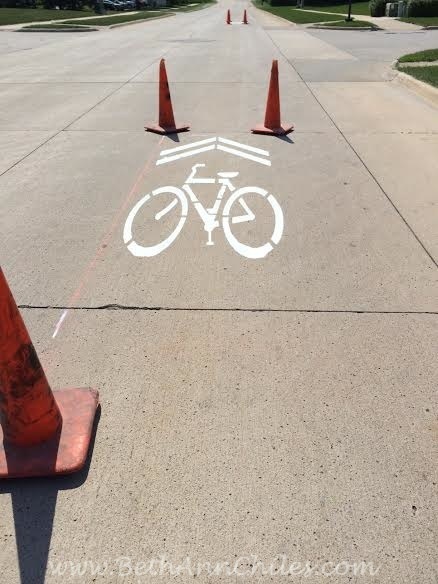 The road that goes in front of our house was littered with them –carefully protecting the newly painted signs on the pavement that signaled to me that something big is going to be passing through Mason City in July. RAGBRAI is a big deal. When we first moved here I heard talk of RAGBRAI but had absolutely no idea what it was. It is a non competitive bicycle race across Iowa (Register’s Annual Great Bicycle Ride Across Iowa) that is organized by the Des Moines Register. Hence the name. The riders begin in a community at the western border of Iowa and bicycle to a community at the eastern border in the 7 day ride. A lottery is in place to select the 8500 riders who participate in the event. 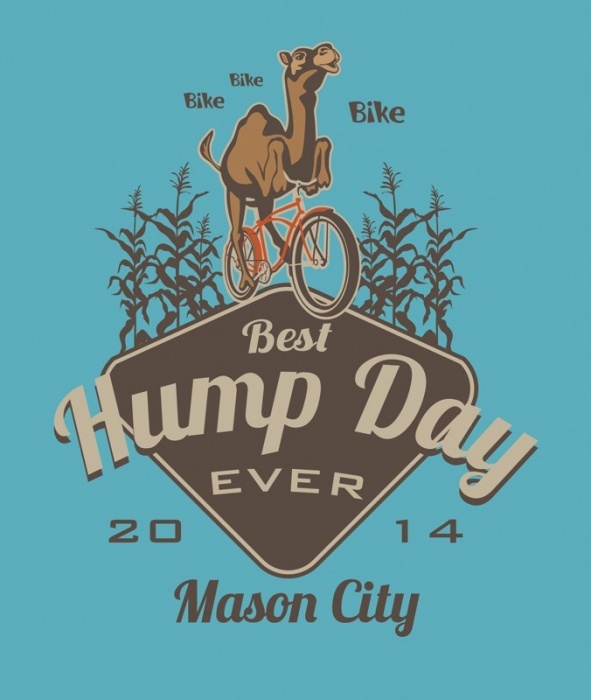 Overnight stops are scheduled and this year Mason City won a highly coveted overnight stop so that means a lot of folks will be not only riding through but spending the night in our fair city. This year the event will take place from July 20 -26 and Mason City has the supreme honor of hosting the riders on Wednesday. A specially designed logo has been created for the event. As you can imagine it is going to take a lot of work to get the city ready for the event. I can not even begin to imagine all that the committee has to think of to make this event safe and successful for all who participate. Along with the riders come support cars and people, family, friends, you name it—it is going to be a huge event. Local churches and businesses are making plans and will be serving food and offering services that will be needed by all who visit. I think I might just sit in my front yard with a nice glass of ice tea and say hello as they ride by. What about you? Would you want a front row seat? If you want to know all there is to know about RAGBRAI click here to take you directly to their website with all of the details about the route, history and stops along the way. Wow! That will be so fun and interesting. Yes I would want a front row seat! We had one for two years for a bike race that went through Missouri and they used our little rural road to get to the capital, Jefferson City! I think that is a great idea to sit outside with your glass of tea. Sounds like a fun and exciting time for your city. Enjoy! Ice tea and camera in hand, right? It is a noble endeavor to be sure. That sounds like one LONG bike ride! Lots of preparations to pull off an event of that magnitude — you’re lucky they’ll be biking right in front of your house! Will there be a special tea pot to honour the day? I like your idea of sitting in your front yard & waving as they go past! 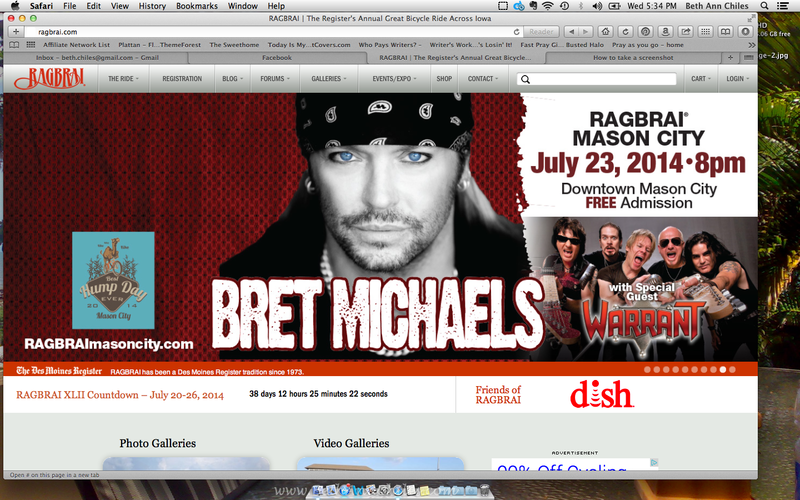 I love Bret Michaels because of what he does for the American Diabetes Association! Wish I could join you in your front yard! You will have to make sure you are home that day. It sounds like a lot of fun. Be sure to tell us all about the race. How cool you can sit in your front yard and watch. I see a blog post about this coming up! I remember the founding of Ragbrai. I’m a Newton native, and used to read Donald Kaul in the DM Register faithfully. When RB began, I was in Liberia, but Mom sent me all the clippings about it. Great that it’s still happening! Thanks for your comment! That is a great thing to know that you have followed Ragbrai for so long!!! It is sure to be an amazing event for our little town! Oh, goodness…..did your city JUST learn about this??? I would think it would take much longer than the time remaining to prepare for this! Yes, I would definitely want a front row seat (as long as it didn’t require getting mired down in traffic.) Can you really watch from your front yard? That would be cool!